Report: Undercover investigators snuck weapons, fake bombs through checkpoints. The acting director of the Transportation Security Administration has been reassigned after an internal investigation revealed security failures at dozens of the nation’s busiest airports, where undercover investigators were able to smuggle mock explosives or banned weapons through checkpoints in 95 percent of trials. "I thank Melvin Carraway for his eleven years of service to TSA and his 36 years of public service," Johnson said in the statement, adding that Acting Deputy Director Mark Hatfield will lead the TSA in the interim. Officials close to the secretary said the decision was made based on the findings in the Homeland Security Inspector General’s report, in which a series of tests were conducted by the department's Red Teams who pose as passengers. It found that TSA agents failed 67 out of 70 tests, with Red Team members repeatedly able to get potential weapons through checkpoints, according to officials briefed on the report. In one case, agents failed to detect a fake explosive taped to an agent’s back, even after performing a pat down that was prompted after the agent set off the magnetometer alarm, according to officials briefed on the report. 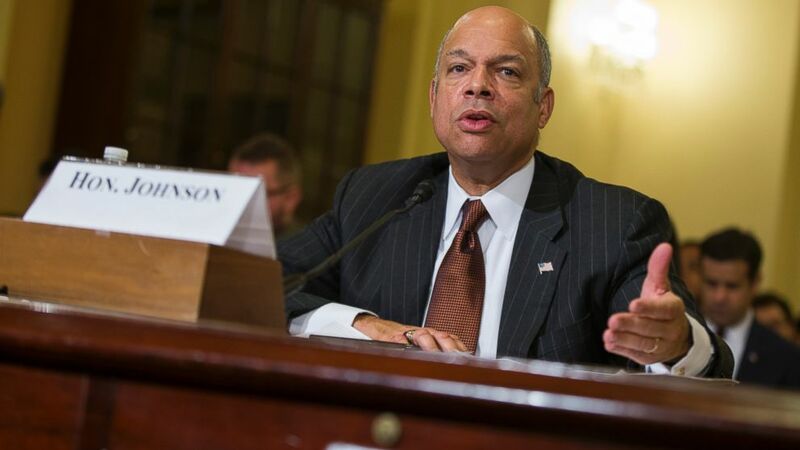 (Evan Vucci/AP Photo) Homeland Security Secretary Jeh Johnson testifies on Capitol Hill in Washington, in this Dec. 2, 2014 file photo. Johnson on Monday also released a six-point memo outlining actions he’s taken in wake of the security failures, including directing TSA leadership "to immediately revise its standard operating procedures for screening to address the specific vulnerabilities identified by the Inspector General’s testing."